Utah Metropolitan Ballet, opens the 2018-19 season with Tribute. This performance combines “Art and Heart” as we honor a few local heroes whose hearts help make Utah Valley an exceptional place to live. Please join us October 23, 26 and 27, for a celebratory evening that will both inspire and entertain. This holiday season, join Utah Metropolitan Ballet for Nutcracker at the Covey Center for the Arts. Tchaikovsky’s enchanting score and Artistic Director, Jacqueline Colledge’s delightful choreography will capture your imagination and transport you to a magical world filled with colorful characters, breathtaking costumes and majestic scenery. Kick off your holiday season in grand style, making memories to cherish with the ones you love. A romance that’s sure to set your heart astir, the most famous love story of all time performed by Utah Metropolitan Ballet - March 7-9. Romeo & Juliet chronicles Shakespeare’s tale of two passionate teenagers from great families on opposing sides of a bitter feud. Set to the music of Sergei Prokofiev, with sweepingly regal ballroom scenes, vivacious swordplay and poignant Pas de deux, Jacqueline Colledge’s production is a feast for the eyes and ears. 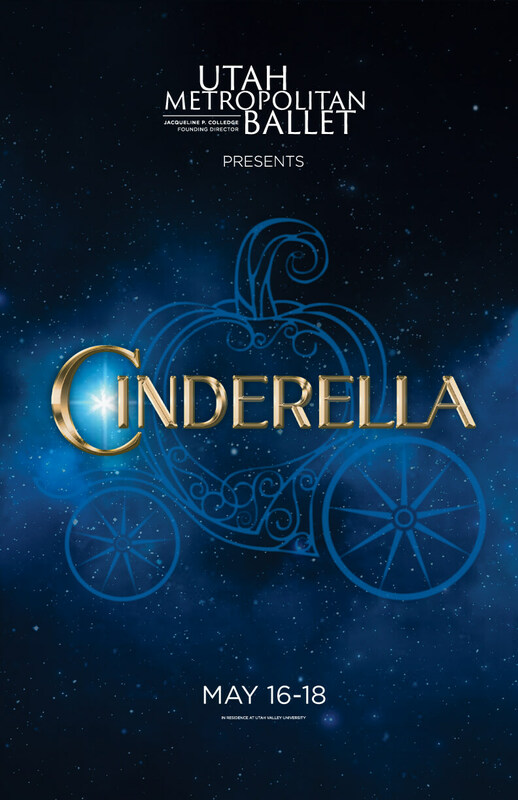 Race against the midnight toll with the return of Utah Metropolitan Ballet's Cinderella. A fairytale full of hope and happily ever after. Step into a magical world where pumpkins become carriages and fairy godmothers grant wishes. This timeless ballet tells the story of a young woman overcoming hardship (and a lost slipper) to find her true love. Choreographed by Artistic Director Jacqueline Colledge, this beloved story is a delight for all ages!